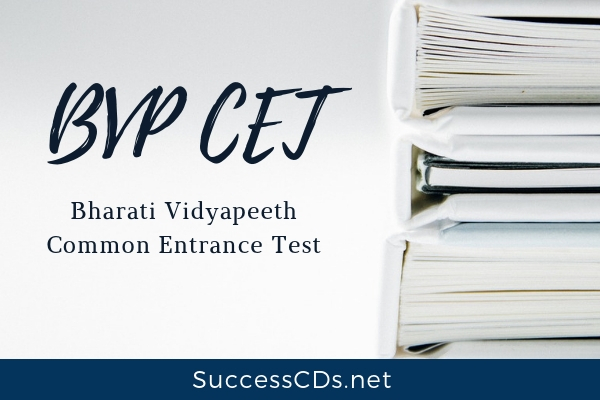 The students will be admitted to the Engg degree courses of the College of Engineering, Pune on the basis of the merit obtained by them in the All India Common Entrance Test CET (Engineering)-2016 conducted by the Bharati Vidyapeeth Deemed University. Foreign National /PIO/OCI Merit Seats: 15% supernumerary seats of over and above the sanctioned intake in each discipline are reserved for Foreign National/PIO/OCI. 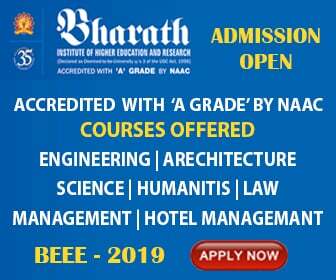 Candidates desirous of getting admission under this Category will have to apply to The Registrar, Bharati Vidyapeeth (Deemed to be University) Pune, India. The last Date for submission of the form for this Category is 21st May 2019 before 5.00 p.m.
First year of B.Tech Courses: The candidate seeking admission to any of these courses should have passed the Higher Secondary Certificate Examination (HSC), the Indian School Certificate Exam (ISCE), or any other exam equivalent to 10+2 or HSC exam of any recognised Board/ University from any school/college situated in India. Passed 10+2 Exam with Physics and Mathematics as compulsory subjects along with one of the Chemistry/Biotechnology/Biology/Technical Vocational subjects; obtained at least 45% marks (40% in case of candidate belonging to SC/ST category) in the above subjects taken together.